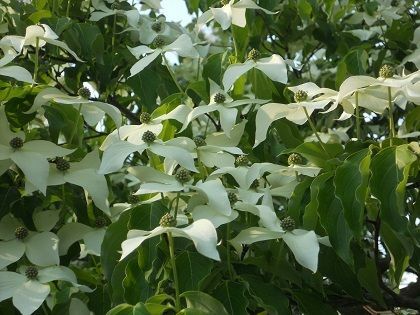 Kousa Dogwood, Cornus kousa, is an Asian flowering dogwood. 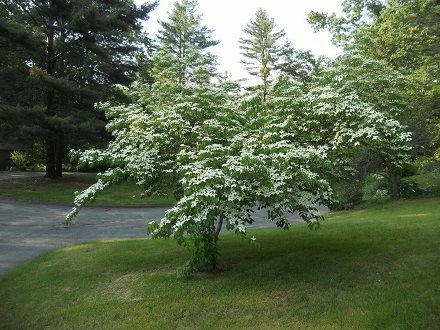 Kousa dogwood is good for the home landscape. it has no serious disease or insect problems in the United States. and their blooms attract bees and butterflies. The Kousa Dogwood also has fruit that attracts birds and squirrels. Believe it or not, the fruit is edible to people.